Happy New Year! For some associations the governance-year begins in January. A new board and new year are opportunities for a fresh start. Ideally the legacy of the prior board can be built upon for continued progress. However, the previous board’s reputation might not be so stellar. Dysfunctions may have entered into board processes. Directors might have pushed personal agendas. There may have been infighting or disrespect. Maybe the elected president simply didn’t achieve the desired results. Or the strategic plan was shelved and the crisis-of-the-month took over. According to Sam Kuhnert, founder at NubAbility Athletics Foundation, "The New Year is full of opportunity. 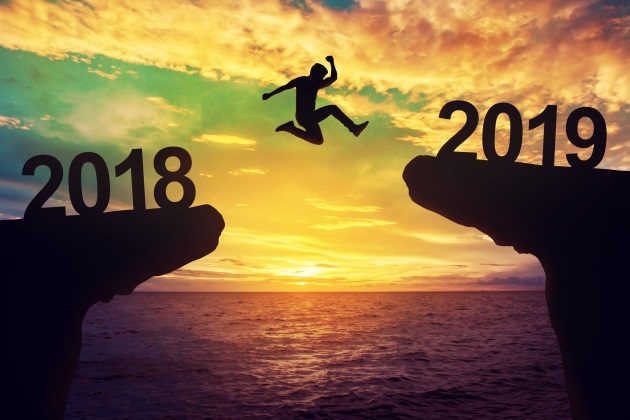 Don't fear the processes of governance but embrace the chance to improve the organization and its impact in 2019." If poor performance characterized the prior board, it’s time to wipe the slate clean. Focus on producing results in the year ahead. Agree upon a vision. Advance the mission and adhere to the governing documents. Pull out the strategic plan. Here’s a checklist for an incoming board. Start with a discussion of the organization’s statement of purpose. Highlight the mission with significant examples of how it has advanced the profession or benefited members. Keep it visible at meetings and print it on agendas. Directors should realize every idea must be framed by the mission. Develop a vision with the board. It may depict a successful year or longer term aspirations for the organization. To be an effective team everyone should remain focused on mission and vision. Distribute the governing documents. Though they may have been provided in the prior year, a second reading can’t hurt. Each document (bylaws, articles of incorporation and policies) has a distinct purpose. They offer structure and describe processes. Make them accessible in a leadership manual, a board portal or on a file sharing platform. Agree on the format and frequency of meetings. Discuss the best location, frequency, room setup and agenda format to maximize productivity. Use technology to support board communications and online meetings. Postpone unnecessary meetings. Leaders have accepted their volunteer roles. Each person wants to do a good job. Discuss what an effective board culture includes. Directors are likely to offer the principles of diversity, respect, innovation and transparency, among others. The board governs and the staff manage. They have distinct responsibilities. Interference occurs when lines of communication are blurred. Respect the chief paid officer who is responsible for staff performance. Discuss expectations. For example, meetings will start and end on time. Directors are expected to maintain a professional decorum. Materials will be distributed in advance for reading. Directors and committees are expected to be accountable for their commitments. Develop guidelines about expectations that are not described in the bylaws. Little can be achieved without resources, which may be limited. They include finances, time, volunteers and staff. Directors should make the best use of resources, realizing they are fiduciaries on behalf of members and stakeholders. The roadmap is the strategic plan. If it was pushed aside last year, dust it off and use it as the GPS (Global Positioning System, also known as Goals, Priorities and Strategies.) Keep the plan on the board table — when ideas or motions are presented check them against the plan. This new year brings new opportunities. No matter how the last board handled matters, the slate is clean to make a positive impact in the organization.